If there’s anything a bank marketing professional can say with absolute certainty these days, it’s that nothing is certain. Quite simply, the tried and true rules of the past don’t apply anymore. In this transformative age, the rules have changed. That’s certainly true when it comes to establishing a marketing budget for the year. With thoughts of social media campaigns, cross-platform initiatives, and customer lifetime value metrics dancing in your head, it might be very tempting to fall back on the default American Bankers Association .01 percent-of-assets method. A few taps of the calculator and mission accomplished. But is it? You probably know that a percentage-based budget is based on your bank’s past performance, not future objectives. Like an Indy car driver chasing the checkered flag, you want to be laser focused on what’s in front of you, not what’s in the rearview mirror. To maintain that focus, you want to have a clearly defined objective – or two or ten. That’s why objective based marketing, is, in our minds, the best way to define real goals and formulate a real budget that will help your bank achieve real results. That’s a lot of real for one sentence, but let’s not forget that real is the root of reality. When it comes to establishing a strategic, results-driven budget, you don’t want pie in the sky, do you? Bank CMO’s don’t need to be reminded that there are as many factors impacting the size of a bank marketing budget as there are boats in China – or at least it can seem that way. Is there a new competitor threat? Are you introducing a new product? Are you trying to boost the performance of an underperforming product? New technology adoption? Are you undergoing a rebranding campaign? And if you’re building a new website, it should be supporting digital banking transactions as much as it serves as a marketing tool. So where does this cost get recognized? Build a case for splitting between marketing and operations and build a site that creates some market differentiation. All of this can make your ‘To Do’ list longer than the epic Tolstoy novel, War and Peace. Unless you have an unlimited budget, you can’t do it all. But you and your team can identify the objectives that are most crucial to your bank’s success and focus your resources and energy on them. Not only is that approach more effective in achieving results, he points out, it’s also more cost effective. 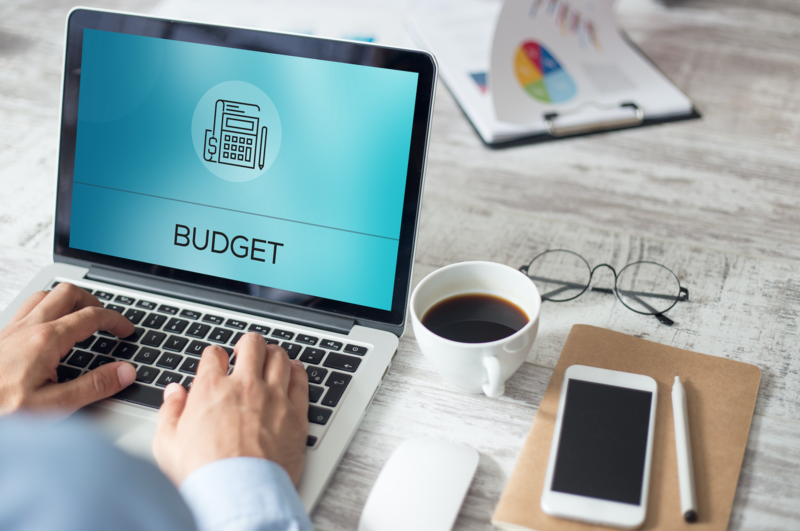 Too many agencies work on an annual budget basis, essentially reverse-engineering a plan, and timing campaigns around how the bank has historically invested its annual or quarterly budgets. That formula is a bit myopic as it doesn’t account for new market opportunities or threats. The only downside to maintaining a razor-sharp focus on your bank marketing budget and specific objectives is that it’s easy to develop tunnel vision. It’s important to take a step away sometimes and look at the big picture. Neatly framed in that picture should be your brand. As you know, developing that brand and enhancing awareness is key to achieving overall success. Without that, all these focused initiatives will likely die on the vine. Brand awareness might be harder to measure than a specifically targeted campaign, but if it’s treated like the linchpin it is in an integrated approach, you’ll know whether it is increasing.